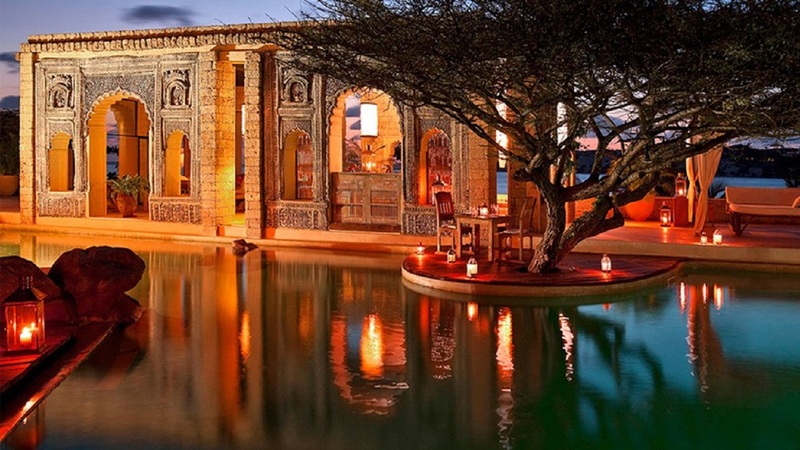 Taking a look at the Majlis Resort, a luxurious paradise in Lamu, Kenya. The word of the day is ennui. The cure for ennui is travel. The travel destination that’s next on my Do It List? I want to visit the gorgeous Lamu, Kenya, a small town on Lamu Island in the Lamu Archipelago in the Indian Ocean. Here in lies the Majlis Resort, a beach and hotel luxury resort that offers breathtaking views and architecture. Lamu Old Town is the oldest and best-preserved Swahili settlement in East Africa. It’s officially an UNESCO World Heritage Centre with beautiful buildings weathered by the sea salt winds. Aside from being gorgeous, the Majlis Resort is only 3,600 km from the Maldives.